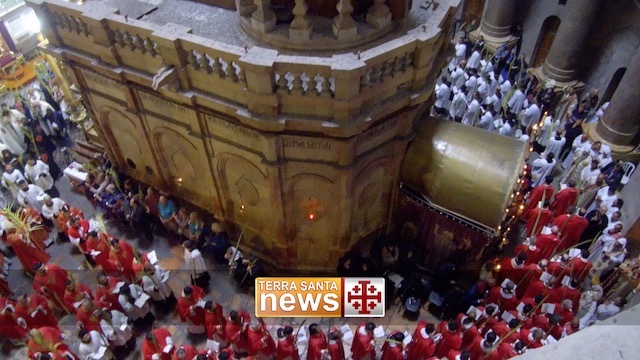 home / Multimedia / The Holy Land in news / Claudia Koll supports ATS pro Terra Sancta with the Living ..
Claudia Koll is the new celebrity face of ATS pro Terra Sancta. 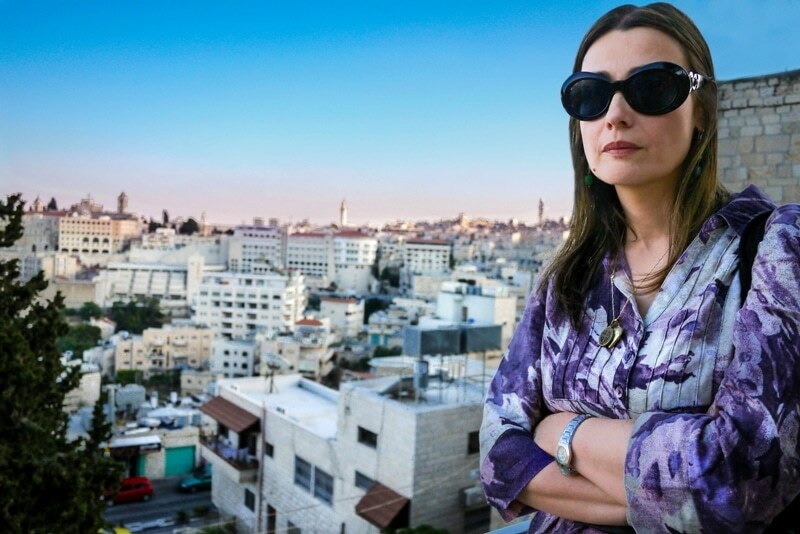 The famous Italian actress – who was in Jerusalem just a few months ago – was accompanied on her visit to the projects run by the Association, and she decided to promote the “Jerusalem, Stones of Memory” project. Claudia Koll, who, for some time, has been involved in charity work with her association “The work of the Father”, will also be supporting the living stones of the Holy Land in the coming months. Below you will find her charming testimonial, which she left at the end of her visit. I joined the “Jerusalem, Stones of Memory” project for my love of Jesus Christ and my faith in Him, which brings me to see and experience Jerusalem as the Holy City. With this initiative, the Custody of the Holy Land wants to help the poorest Christian families who live in the Holy City, in order to preserve its distinctive religious identity as the “City of Peace”. I wish for peace and unity for Jerusalem and for the whole of God’s Israel. There is a place in Rome desired by Pope John Paul II, the Church of St Anastasia, where people pray through Eucharist adoration for peace in the Holy Land. It was there, during prayer, that my relationship with the Lord grew. Over time, the desire to pray for Jerusalem has also grown in me, so that God’s mercy may triumph in this city. St Faustina Kowalska, considered by theologians as one of the great spiritual beings of the Church, notes in her diary that Jesus said to her: “Humanity will not find peace until it turns trustfully to divine mercy”. Peace is a gift from God and should be prayed for in our prayers to the Lord. Thanks from all the staff at ATS pro Terra Sancta go to Claudia Koll for the generosity she has shown in joining the project.